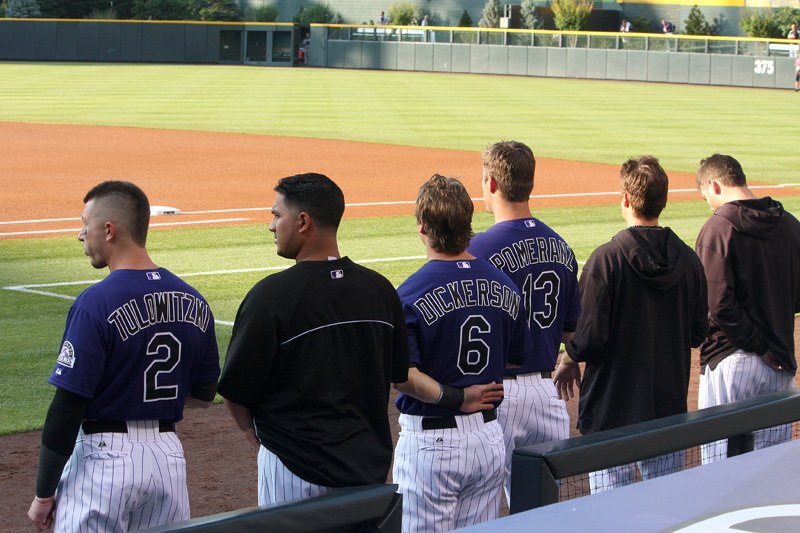 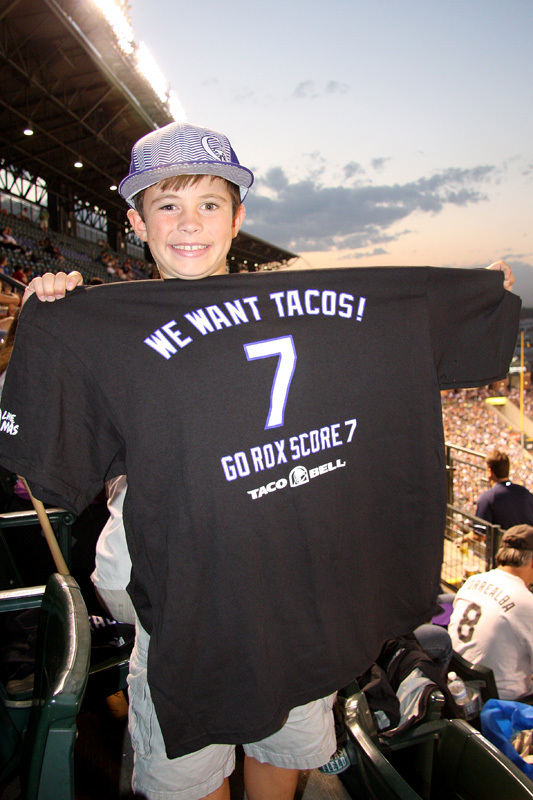 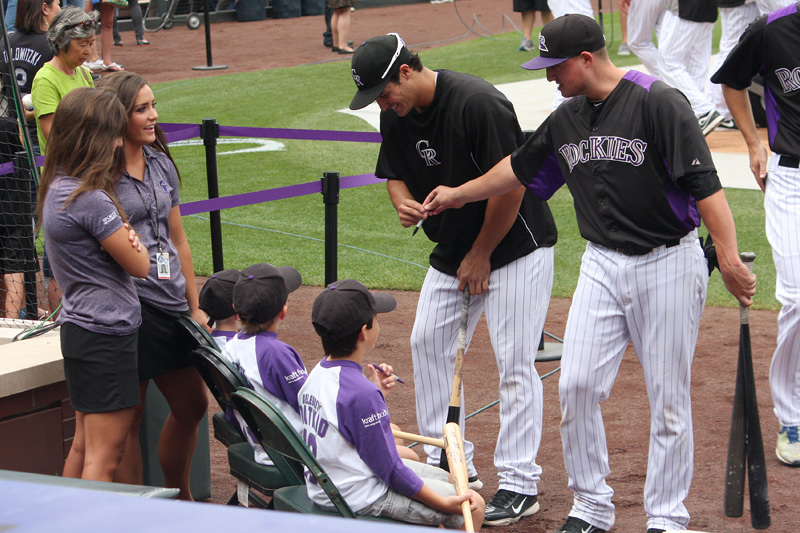 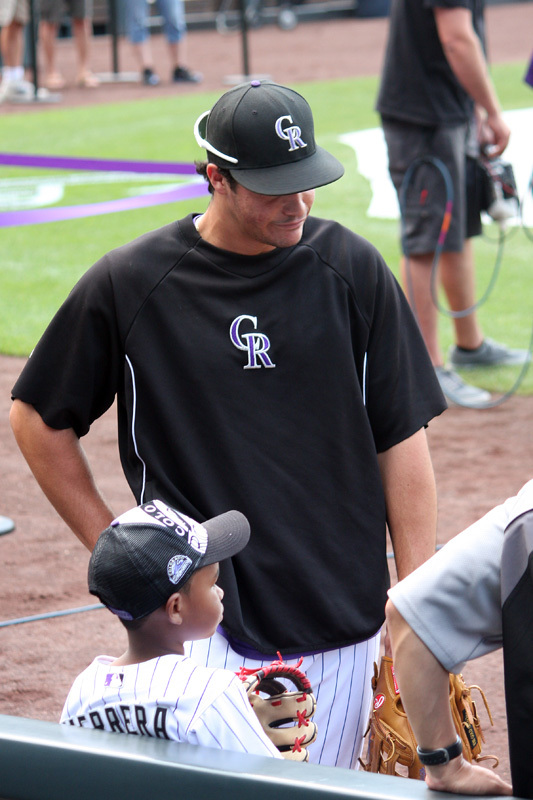 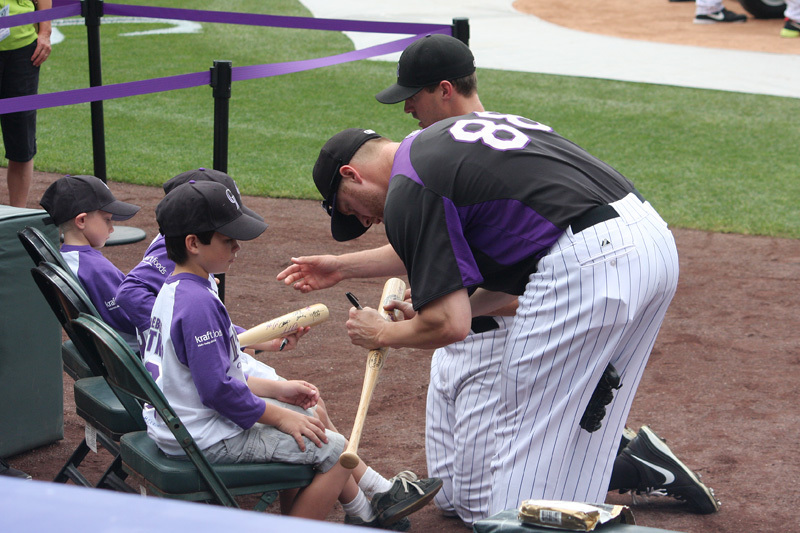 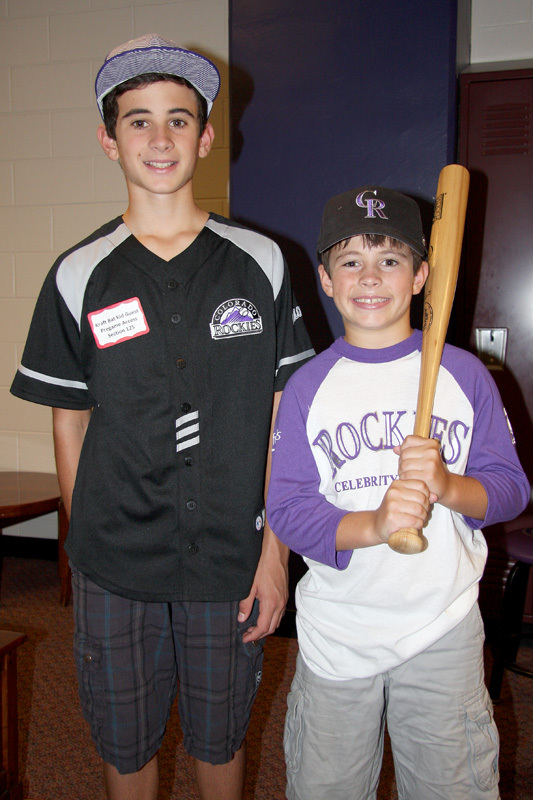 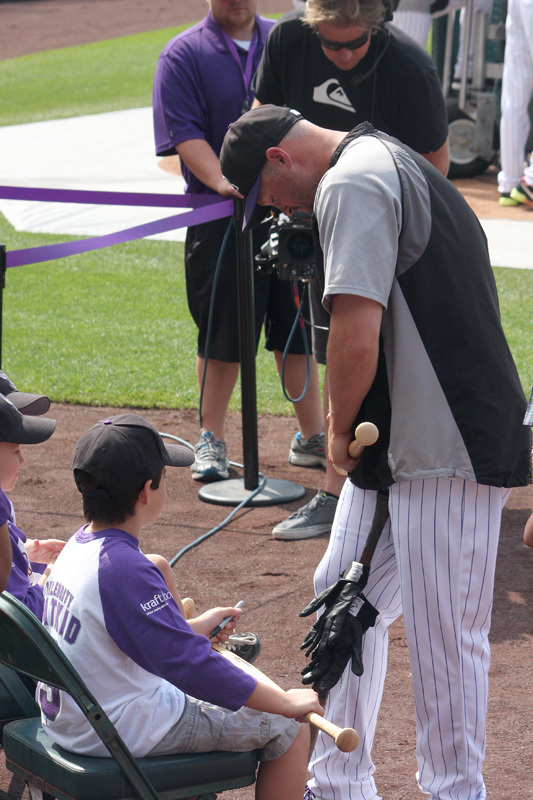 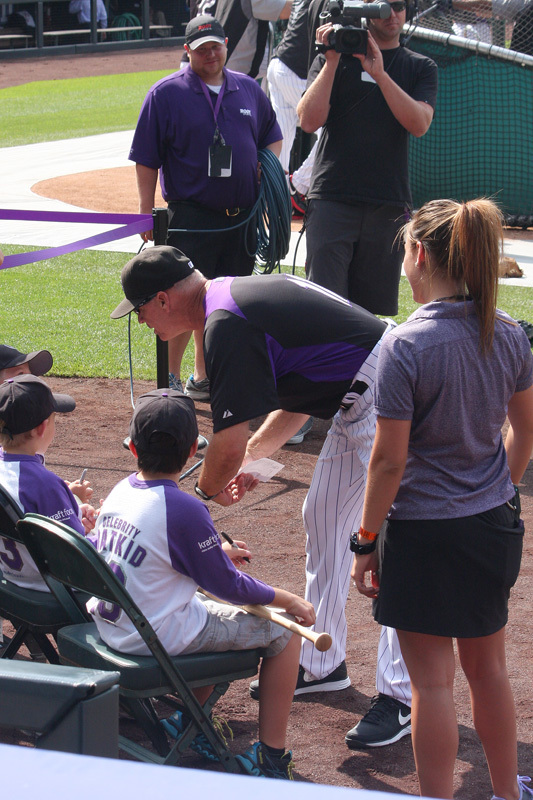 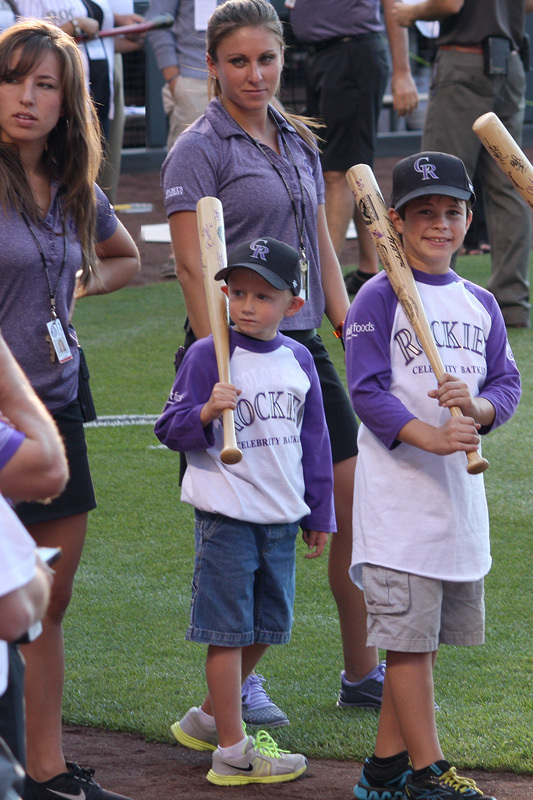 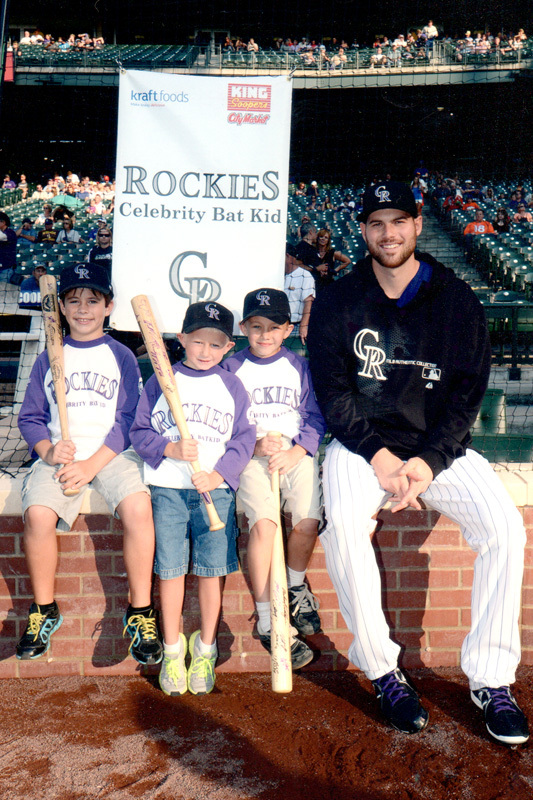 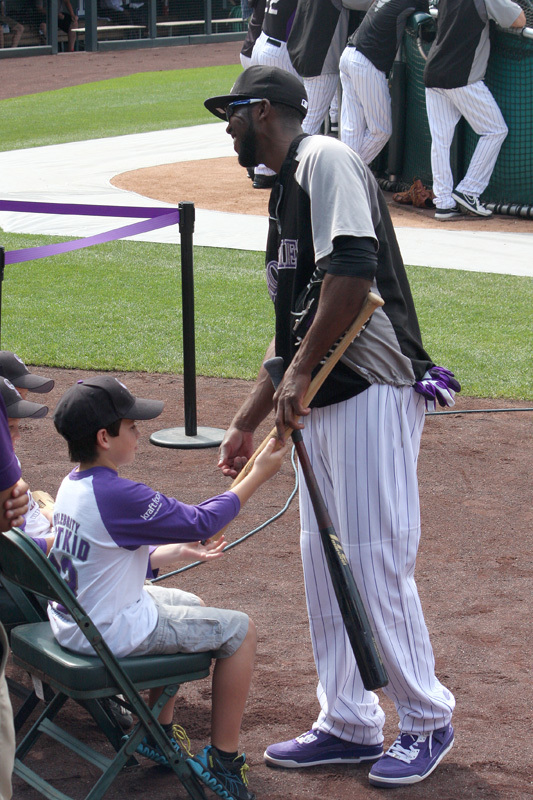 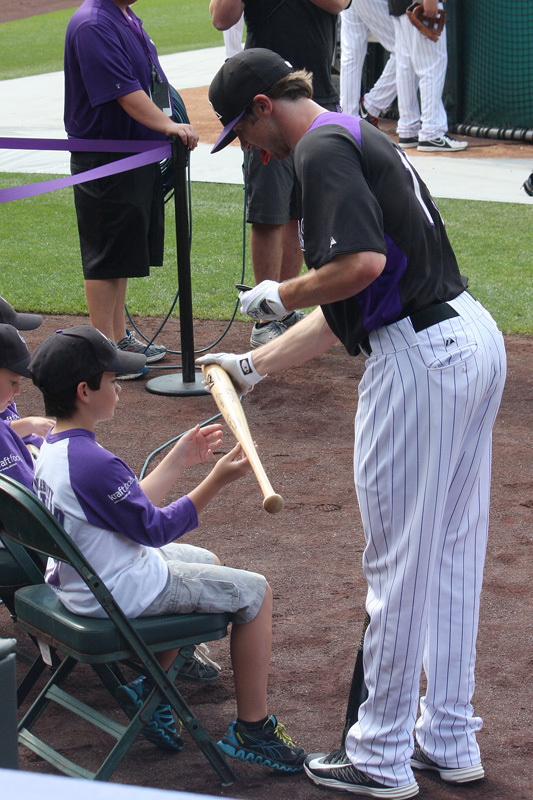 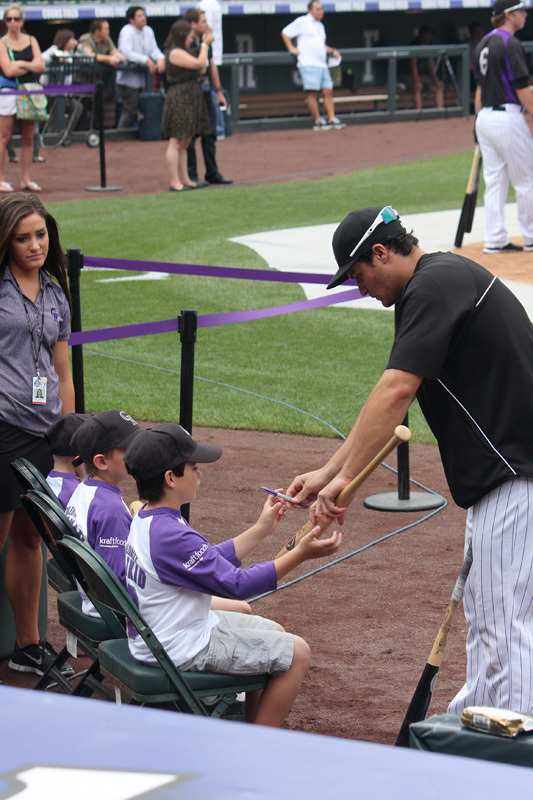 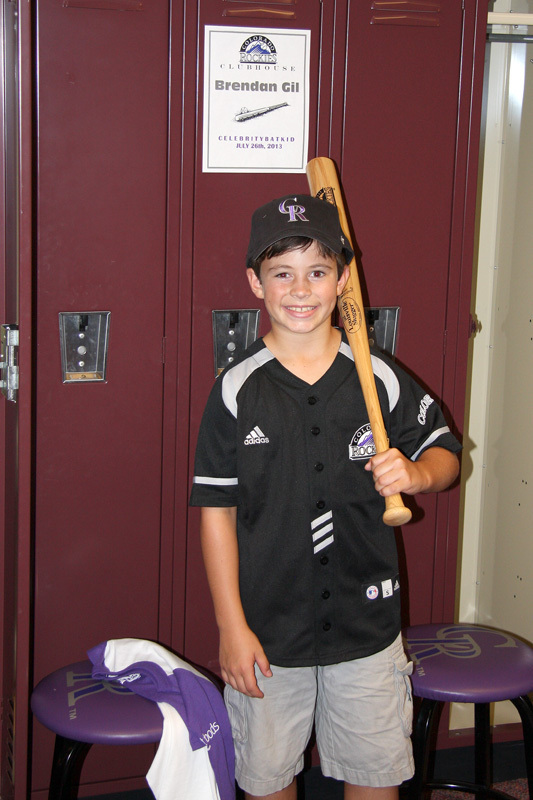 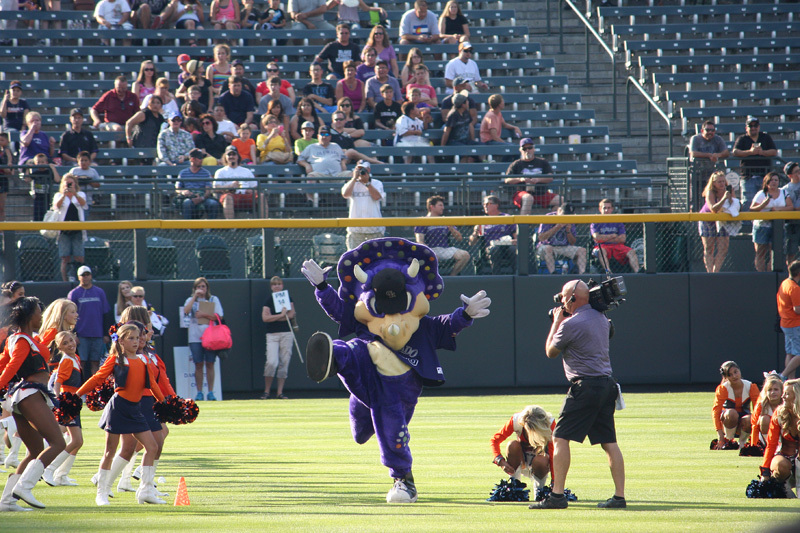 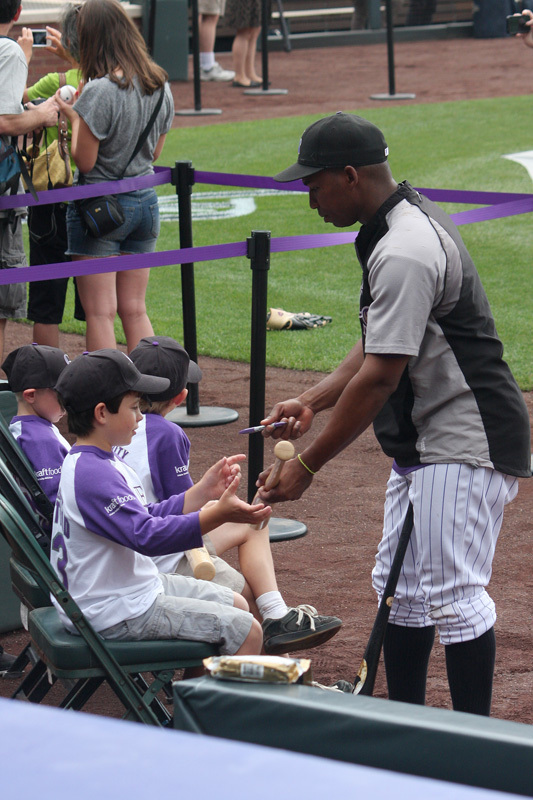 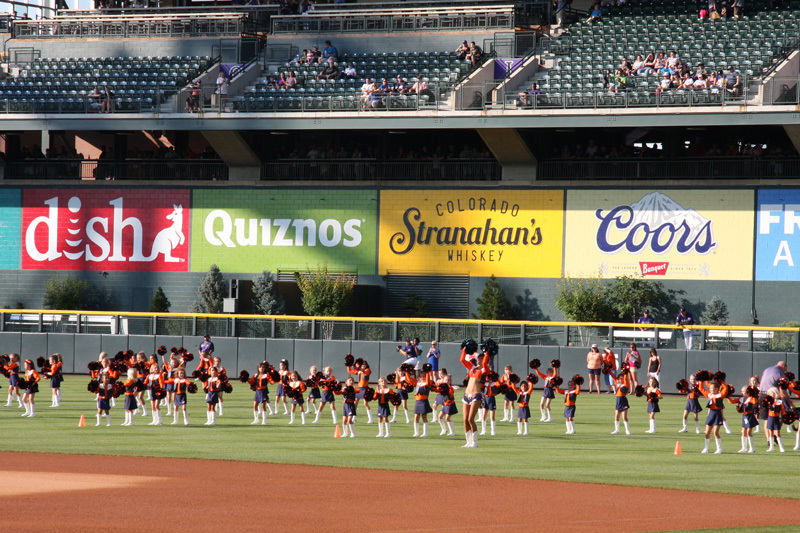 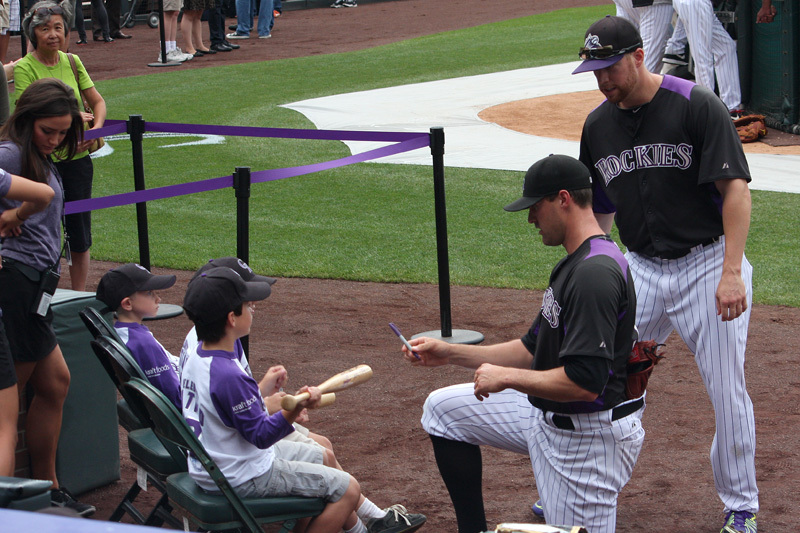 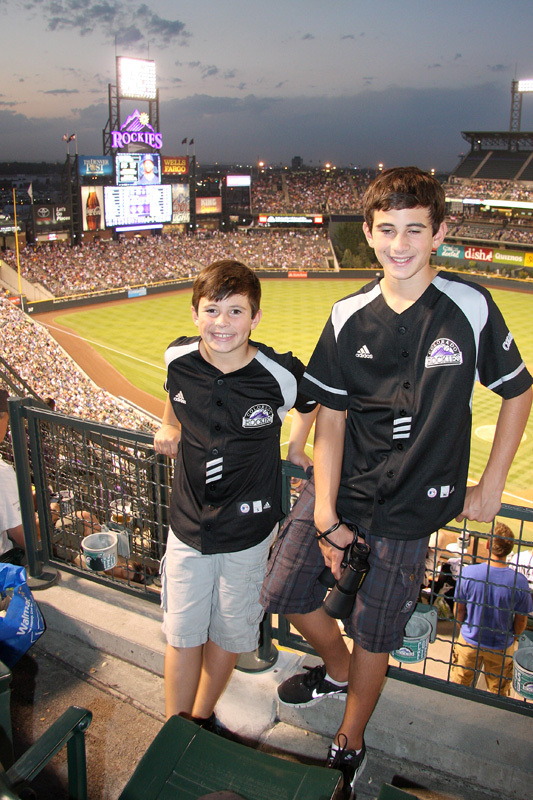 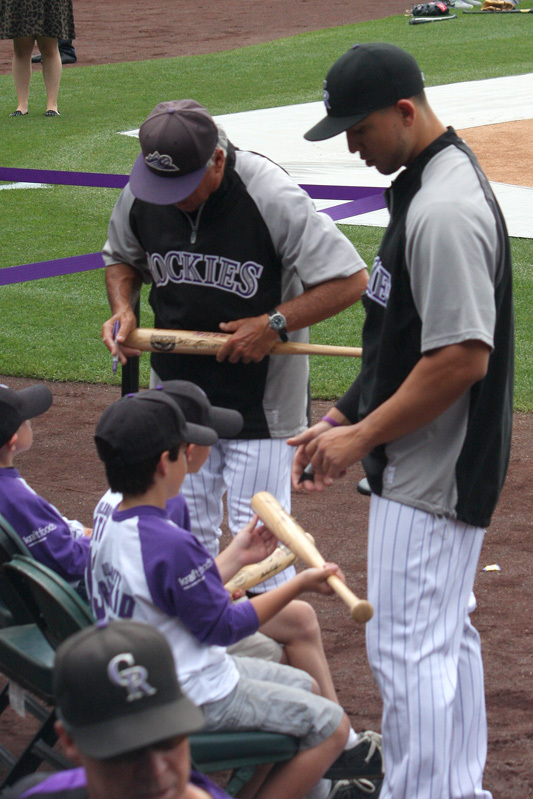 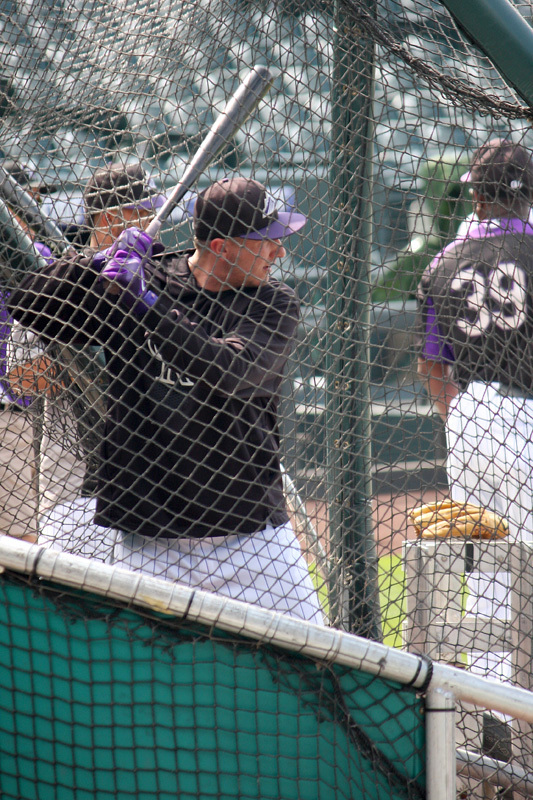 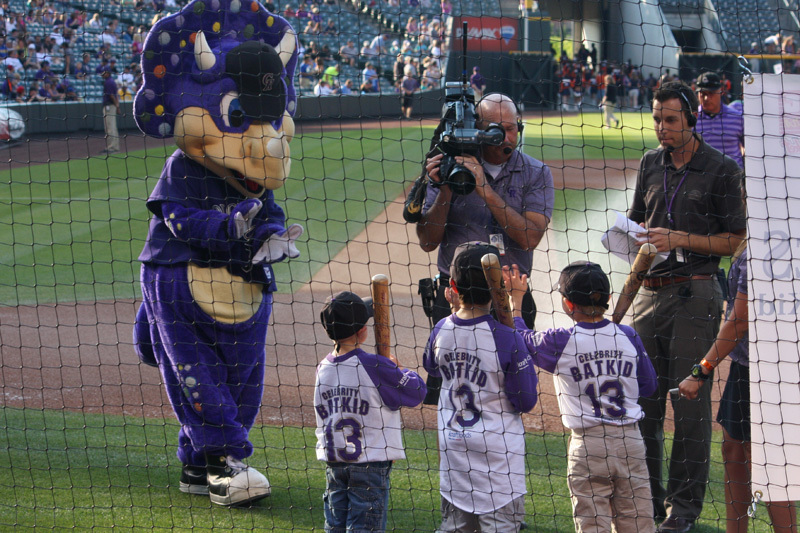 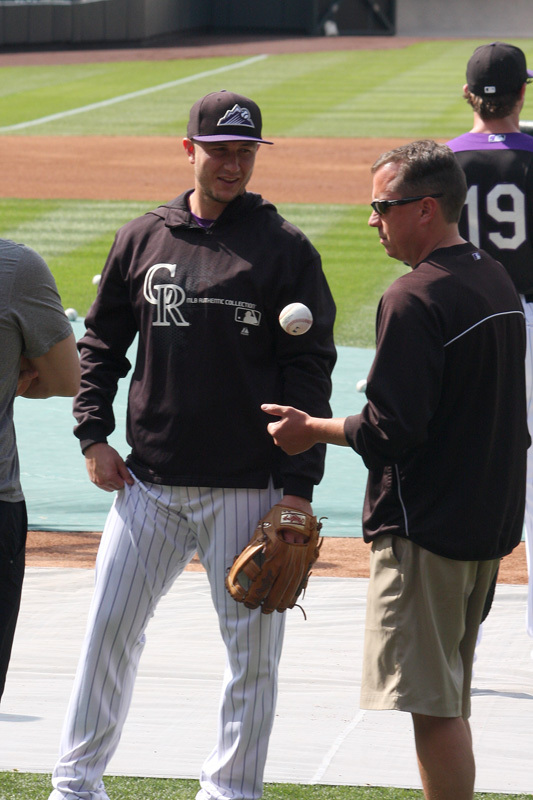 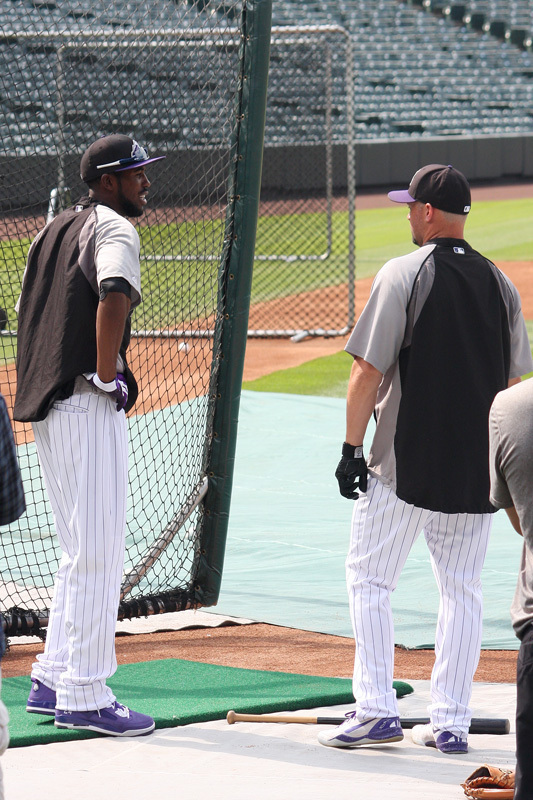 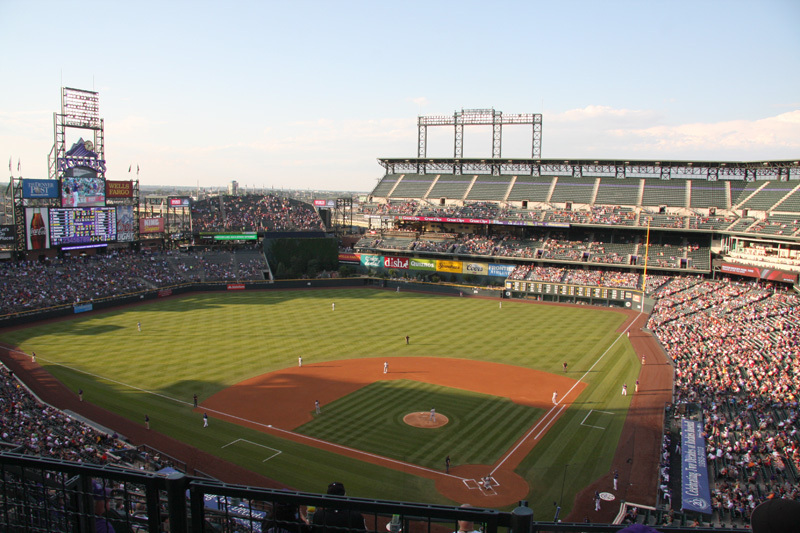 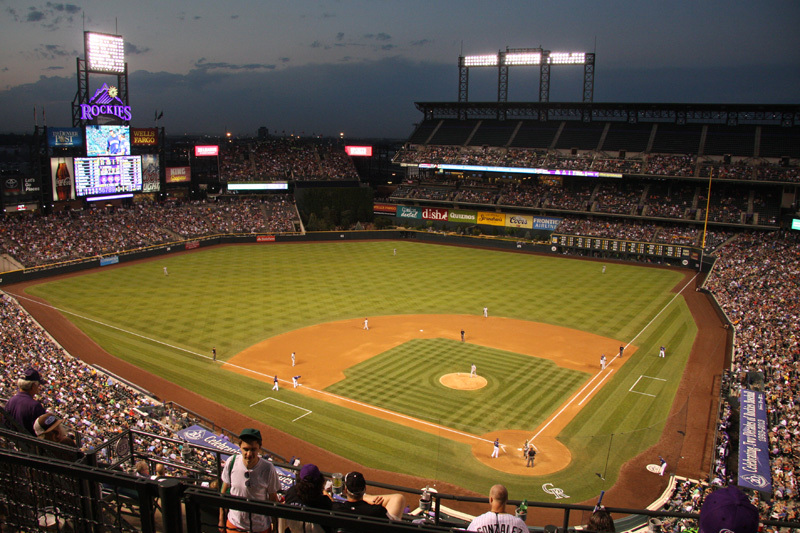 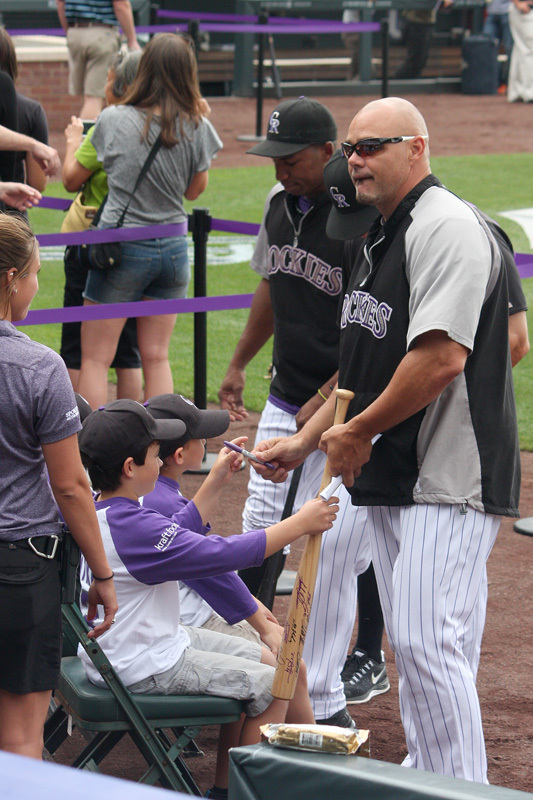 Pictures from this year's baseball season, including Brendan's day as a Rockies celebrity bat boy. 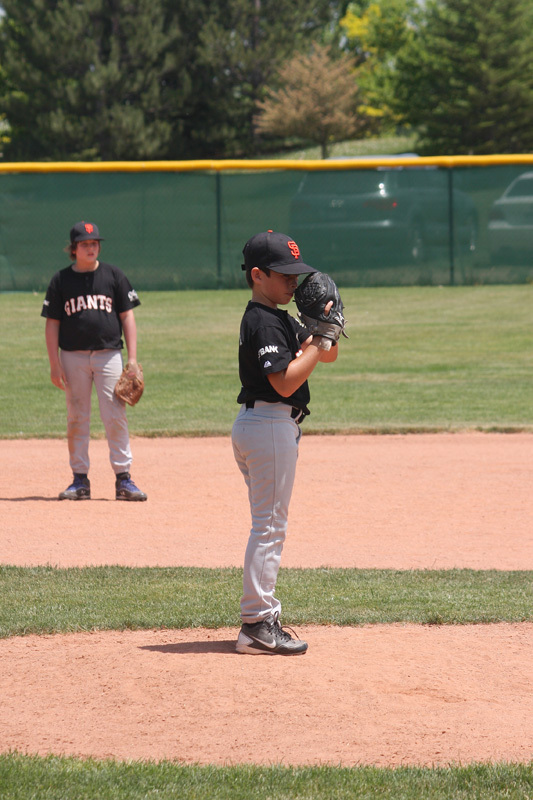 For the first time (in any sport), Brendan and Ethan were on the same team which in addition to being really fun made our lives much easier. 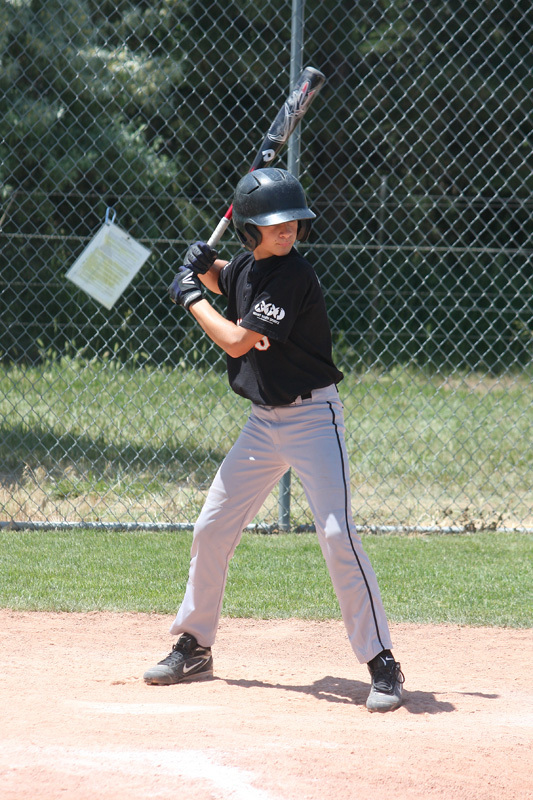 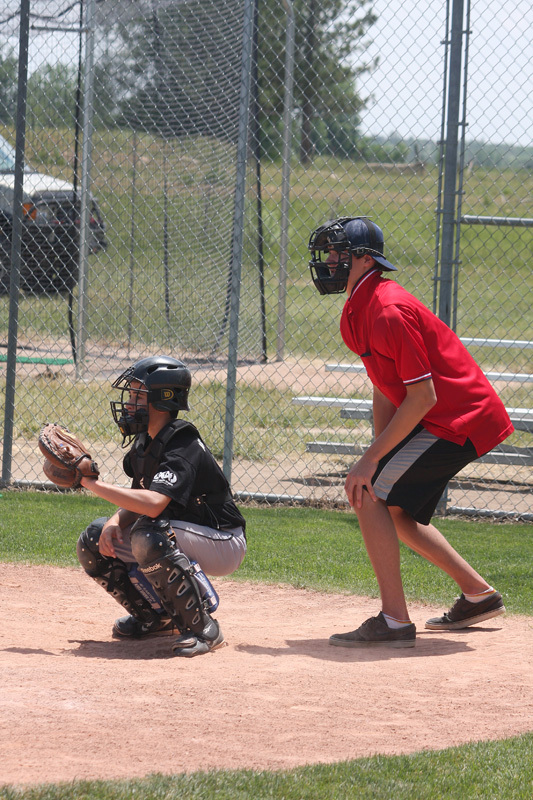 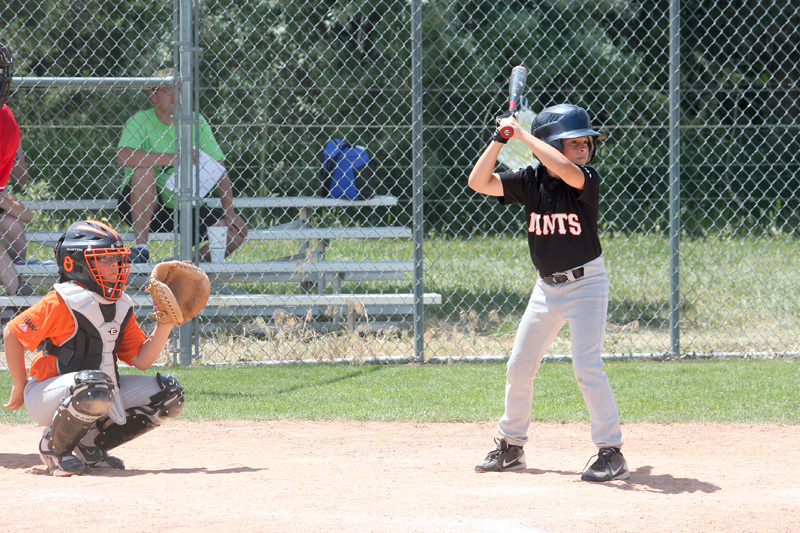 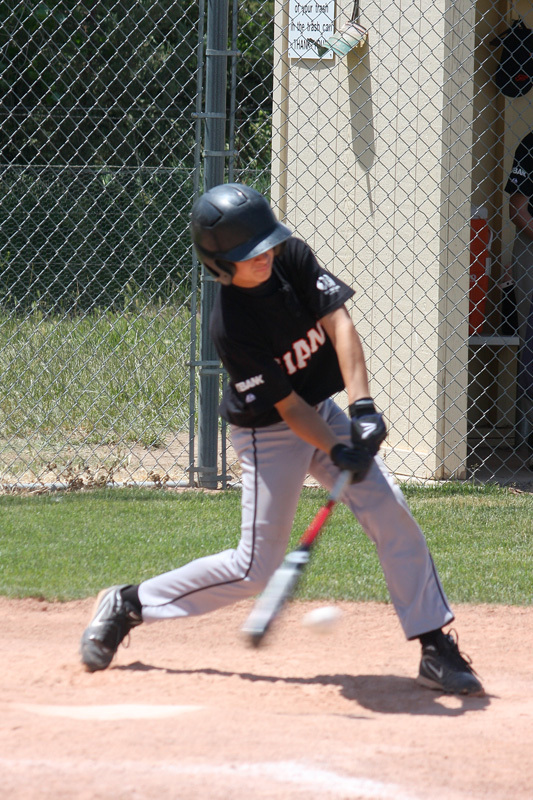 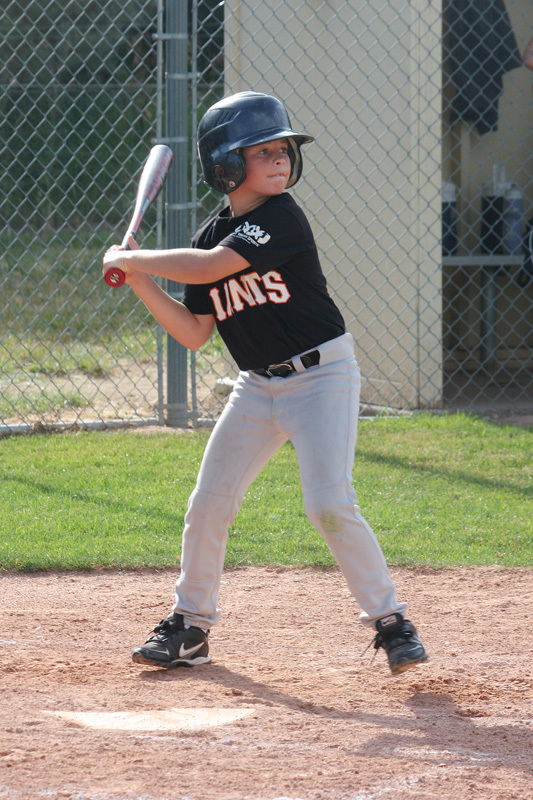 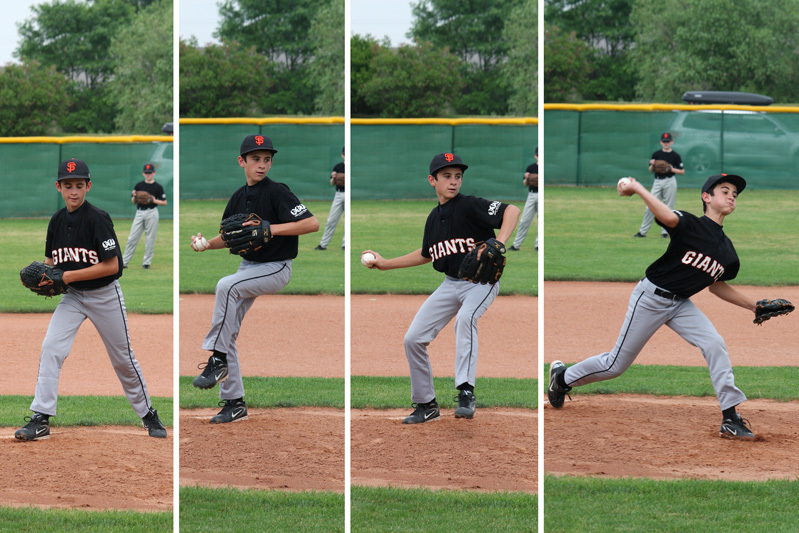 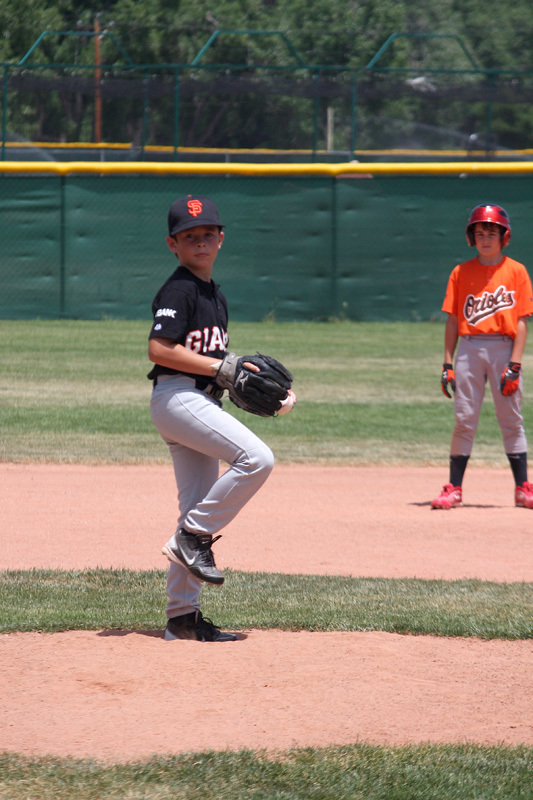 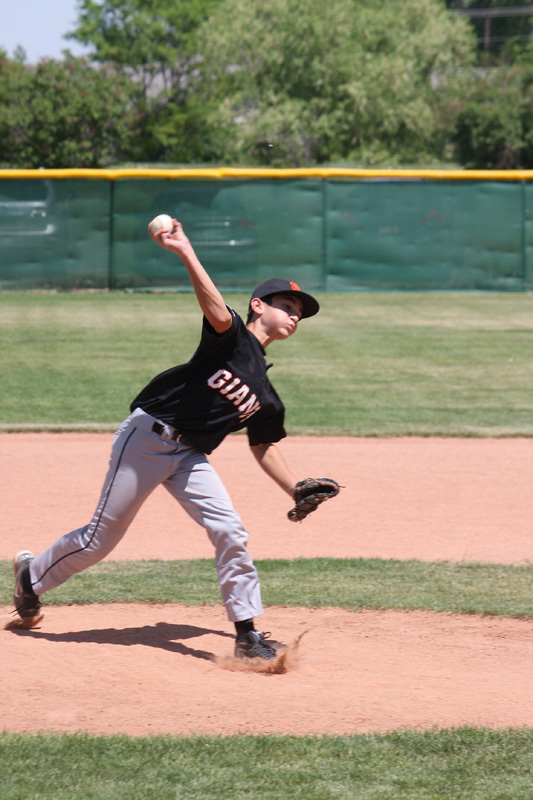 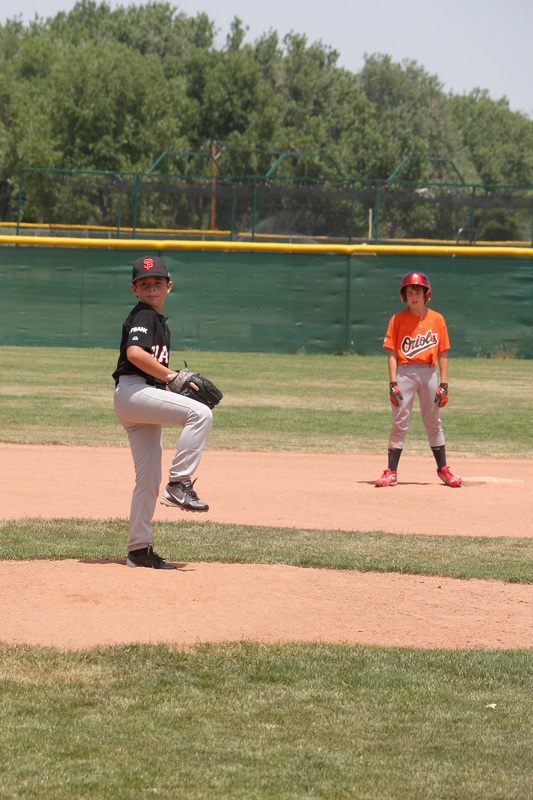 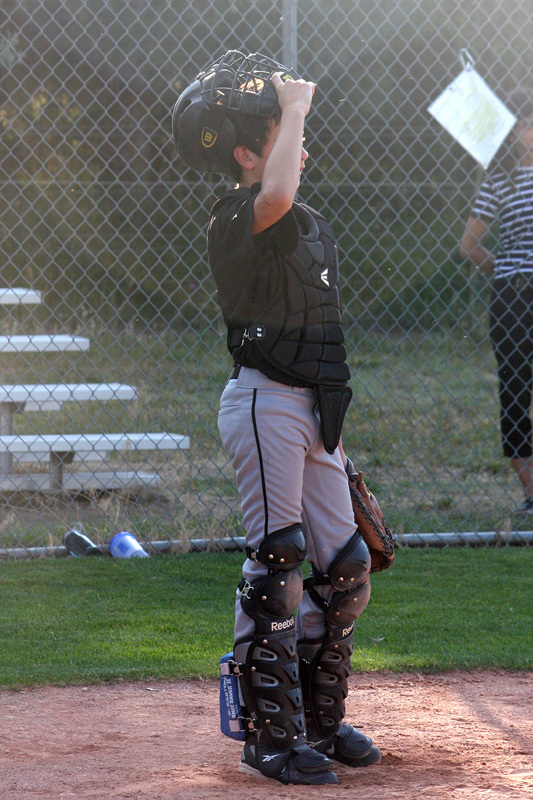 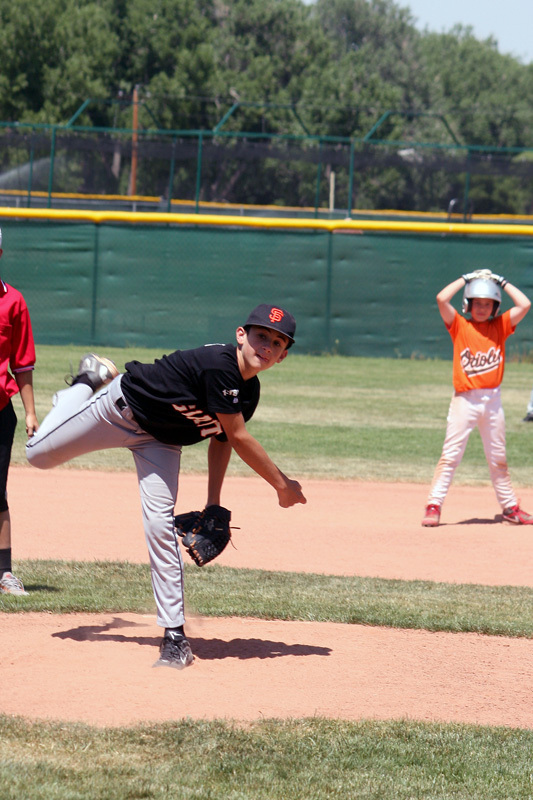 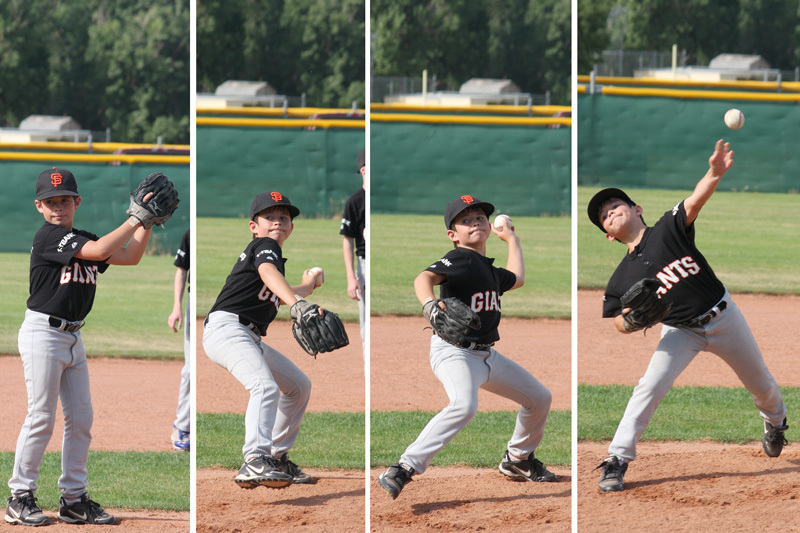 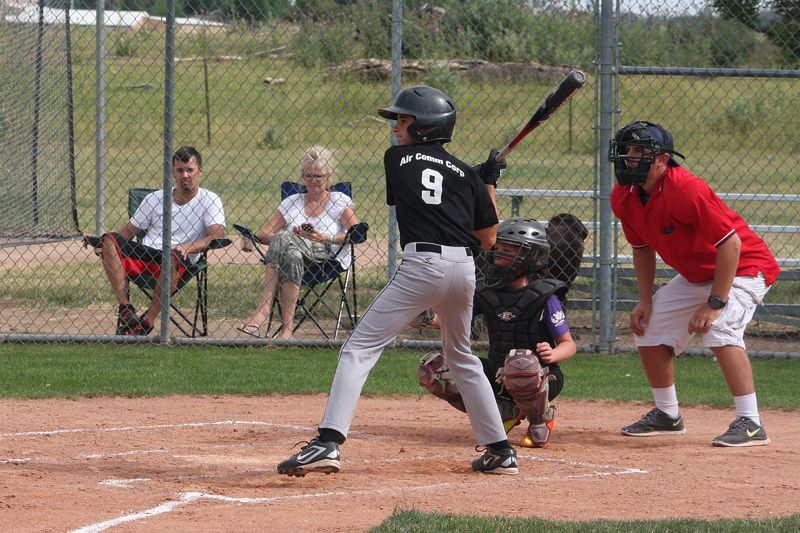 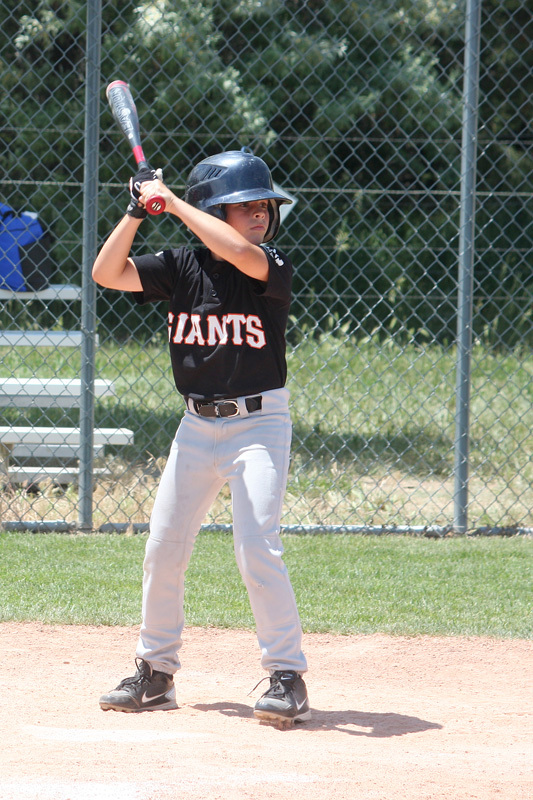 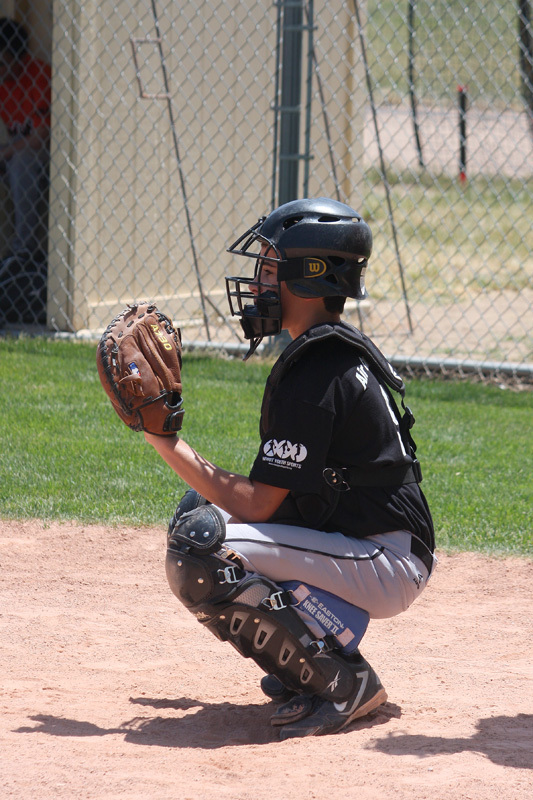 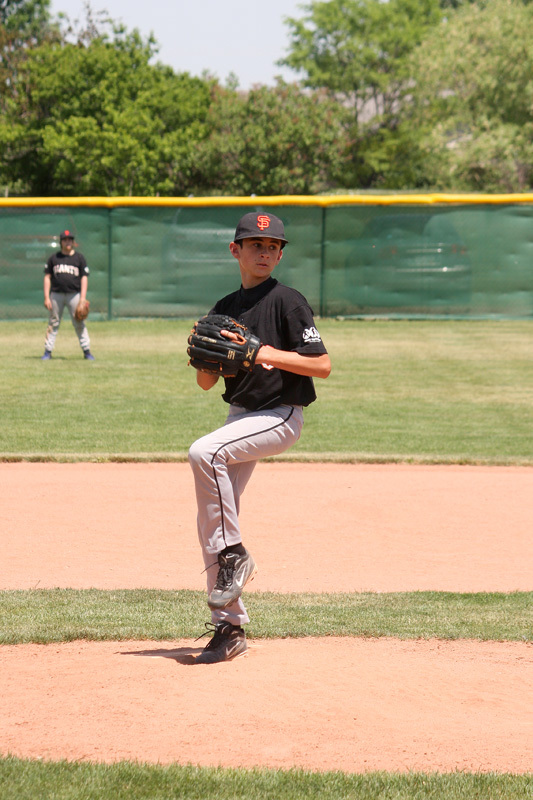 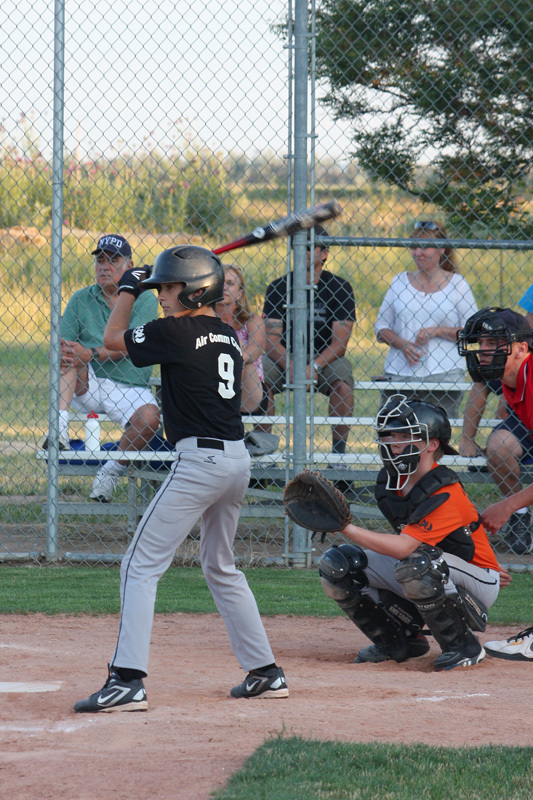 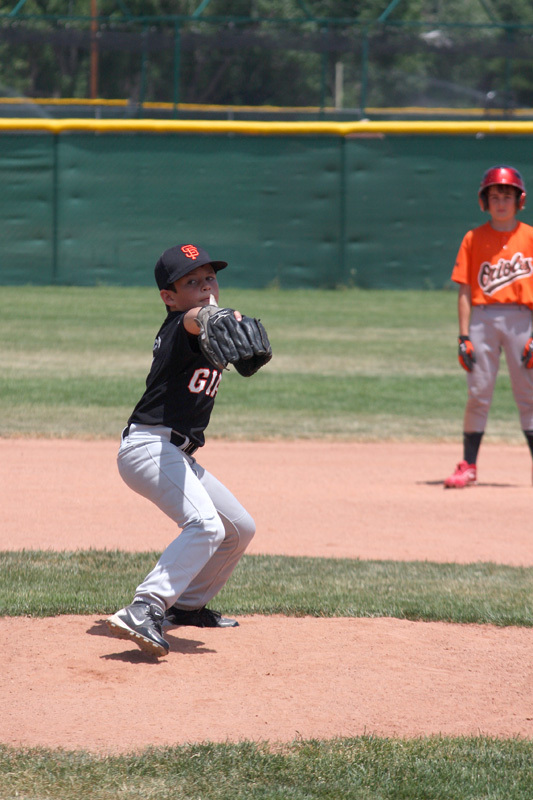 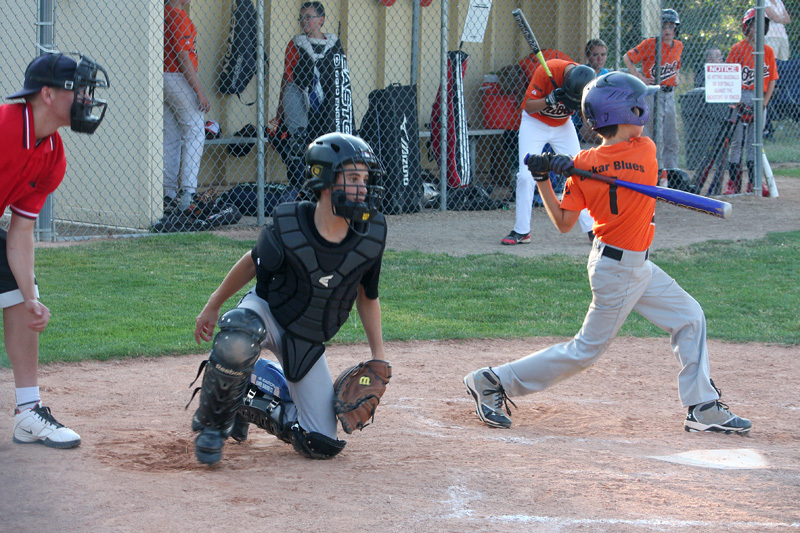 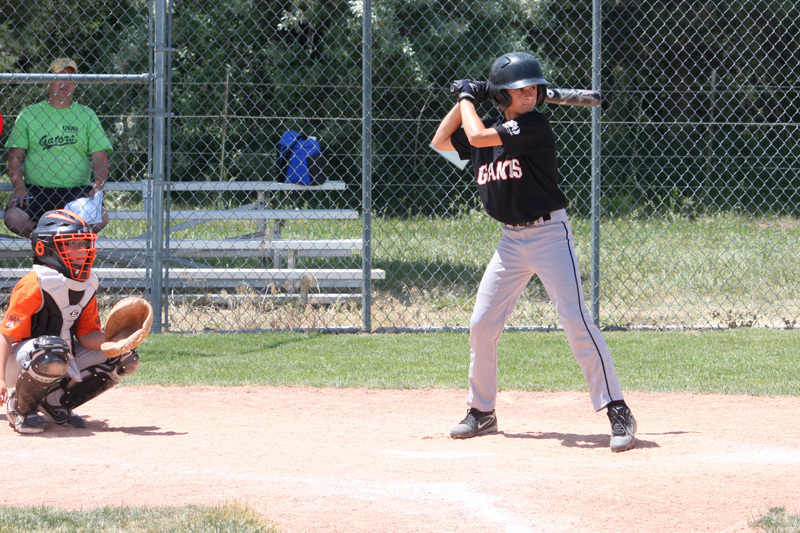 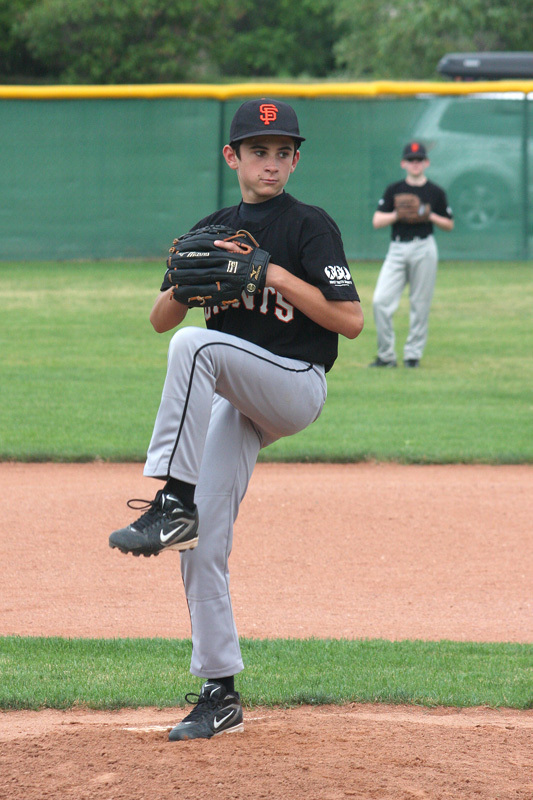 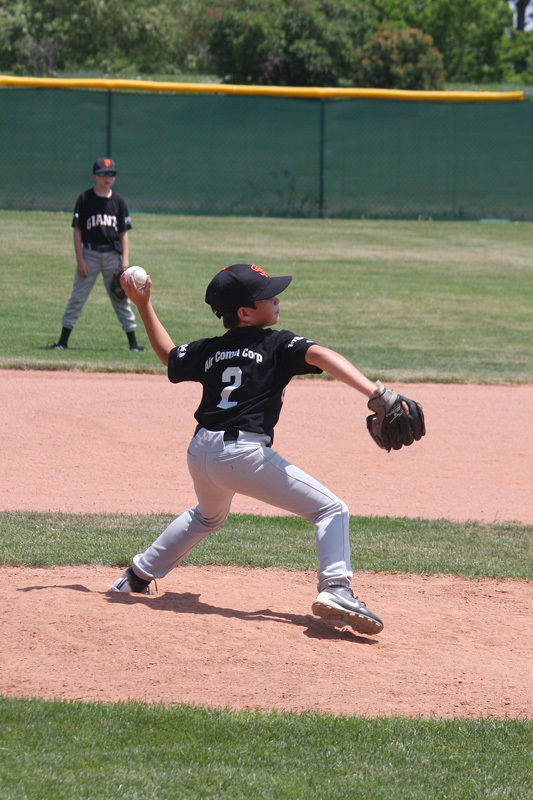 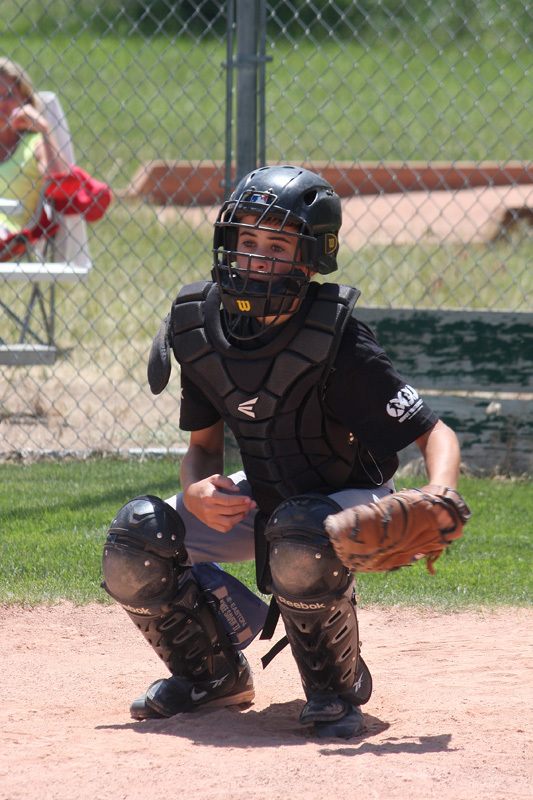 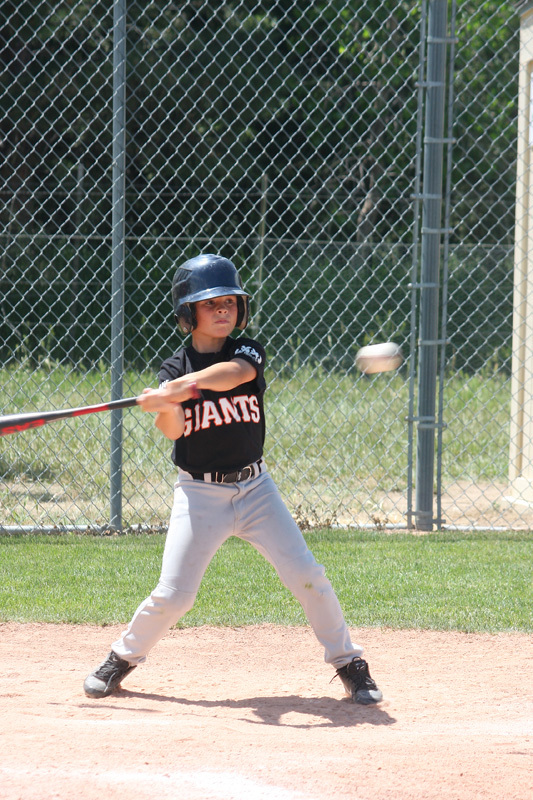 Ethan was the ace of the pitching staff and additionally was a catcher and shortsop. 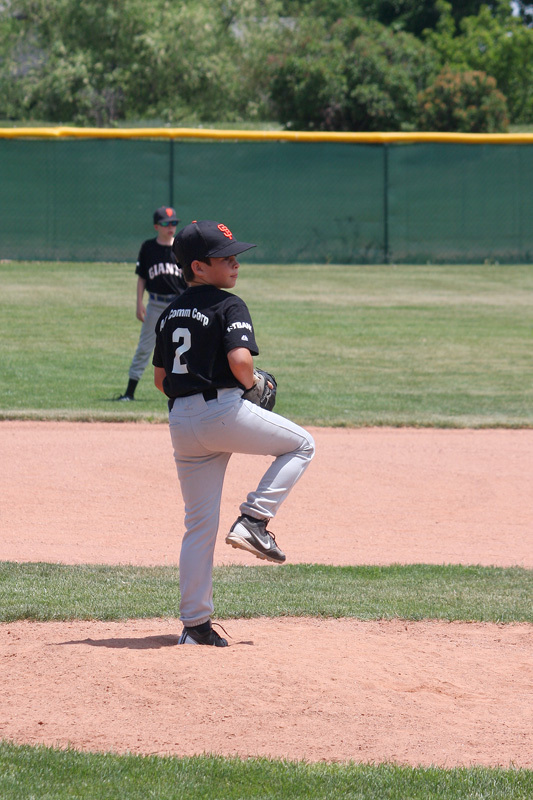 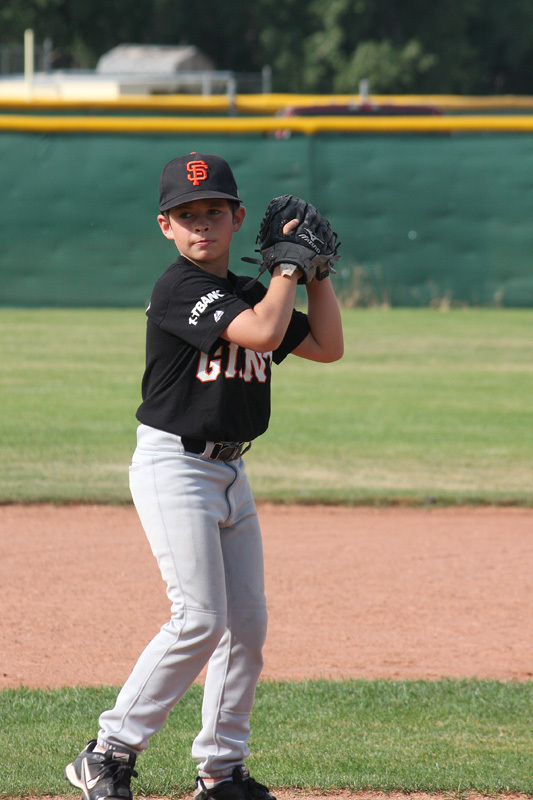 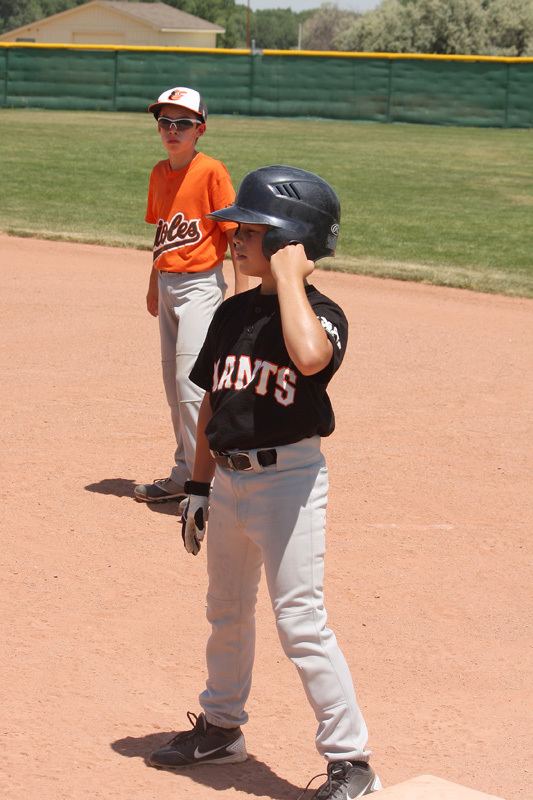 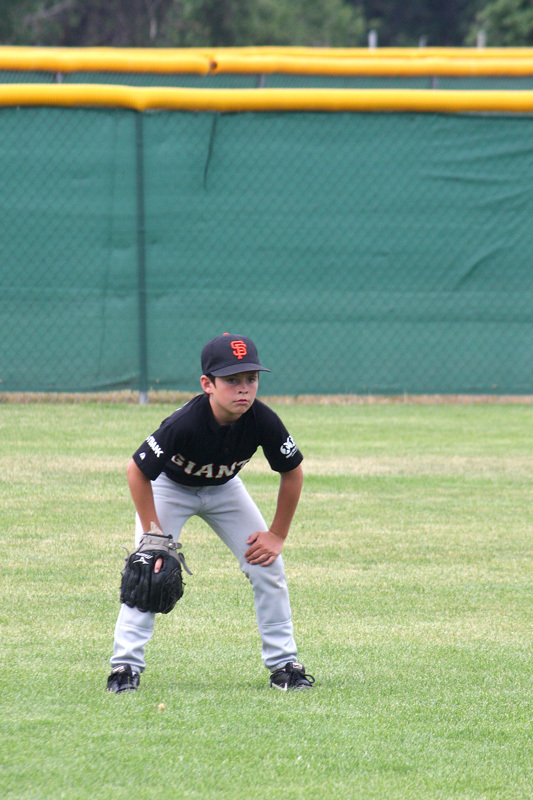 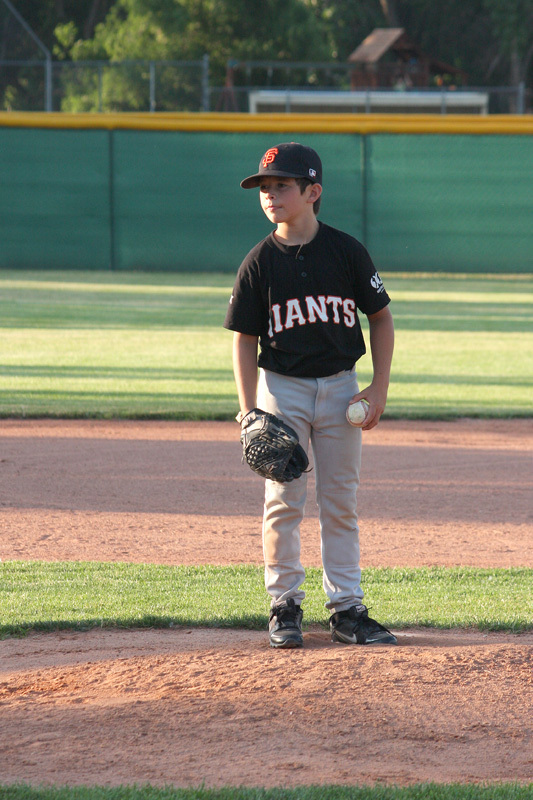 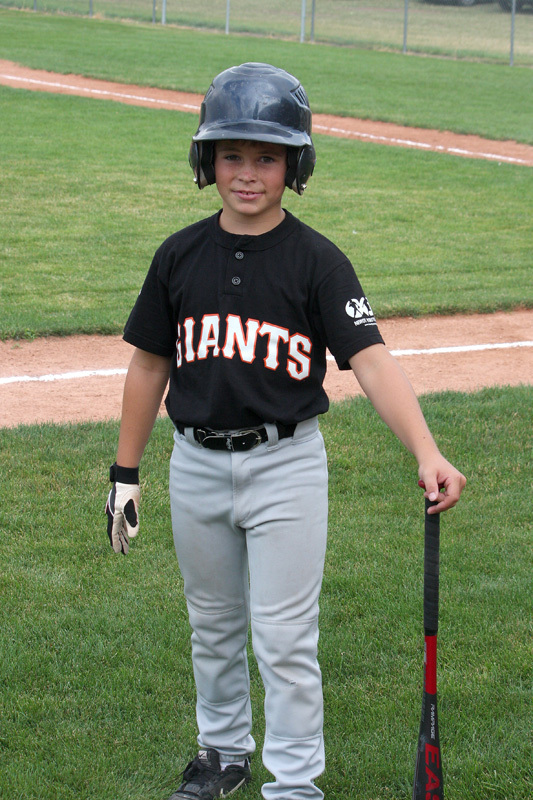 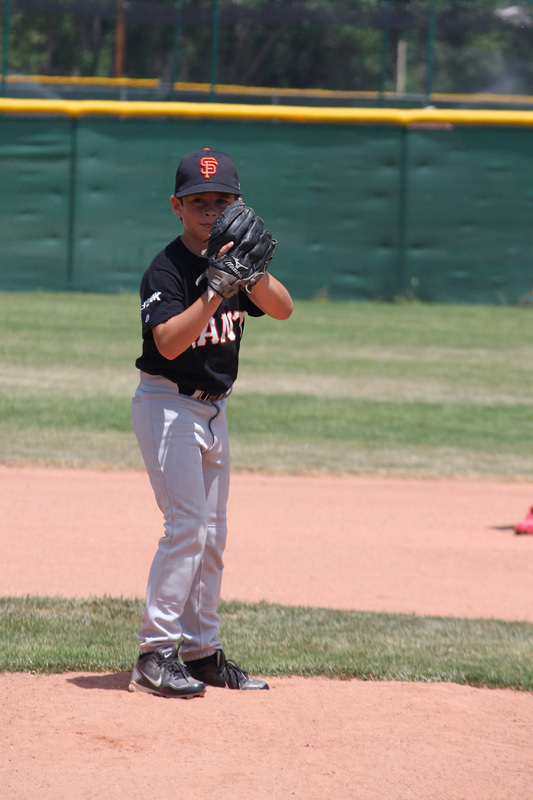 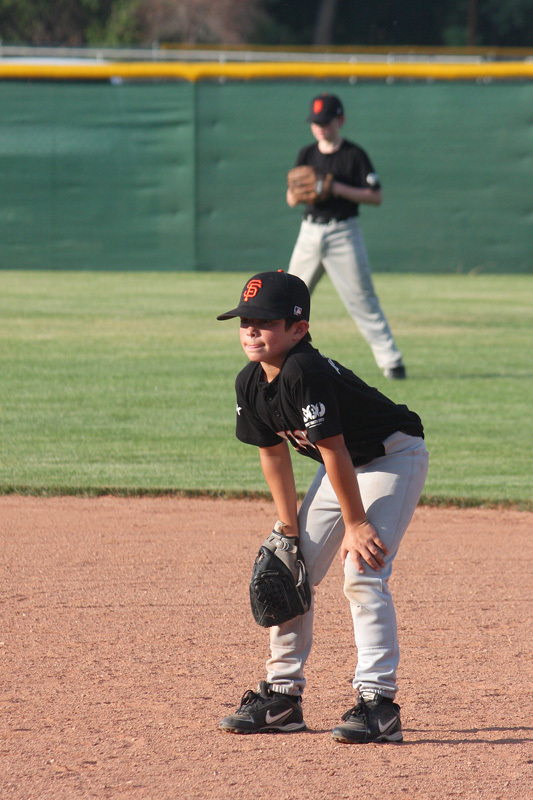 Brendan was also a pitcher and played infieldd and outfield as well. 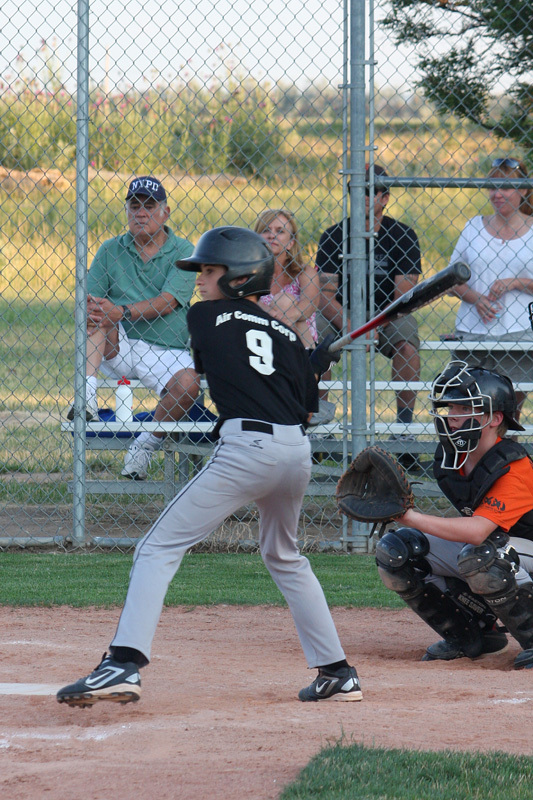 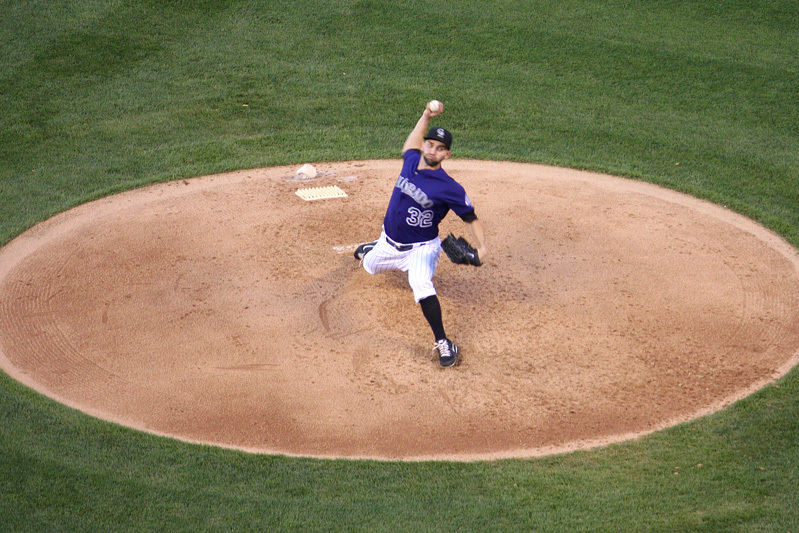 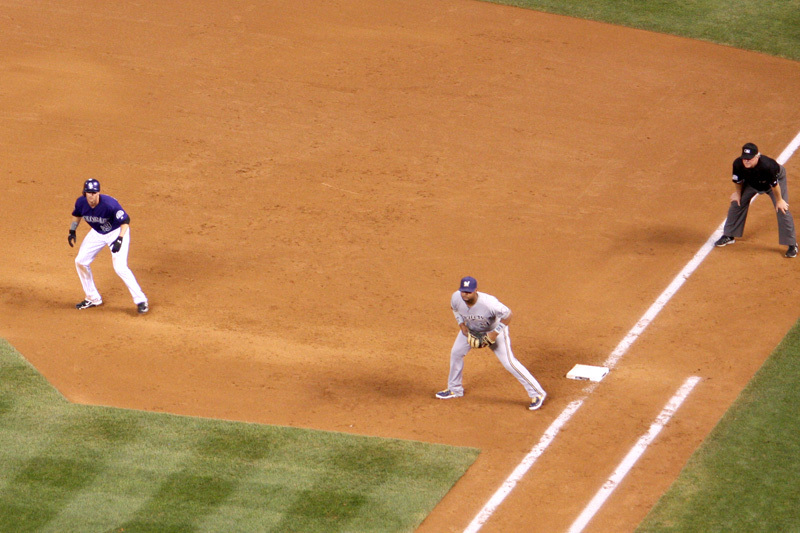 (Also see last year's baseball pictures). 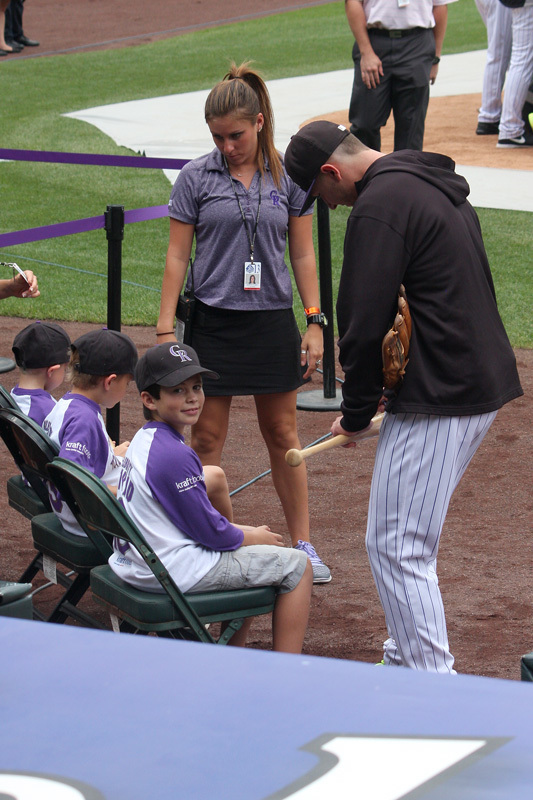 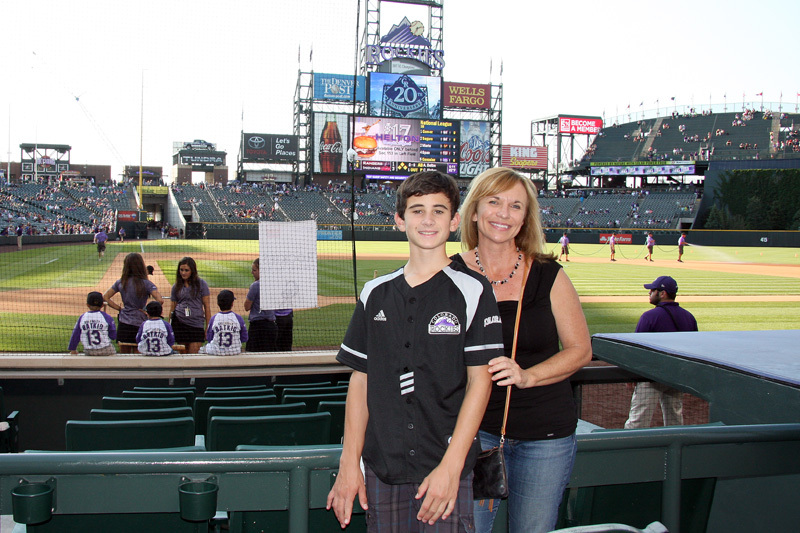 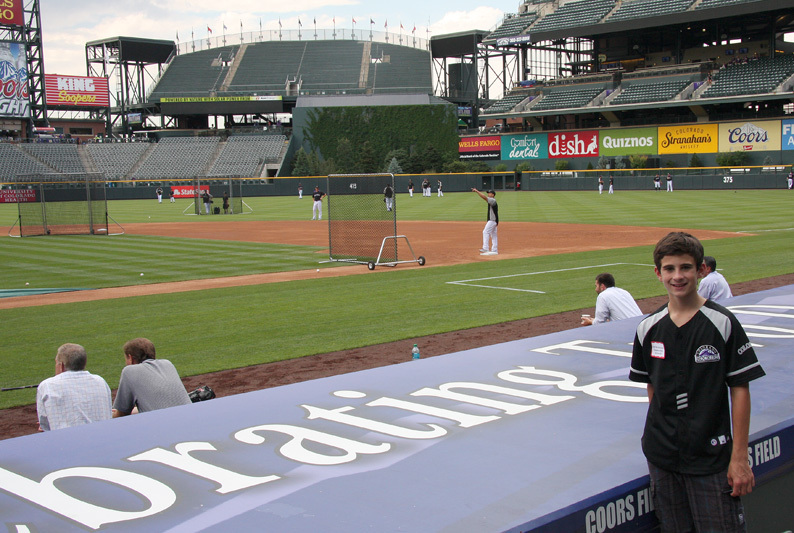 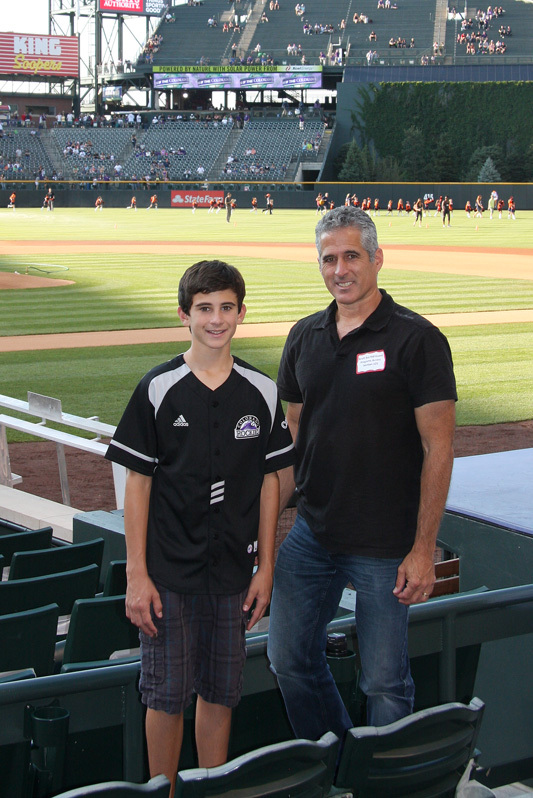 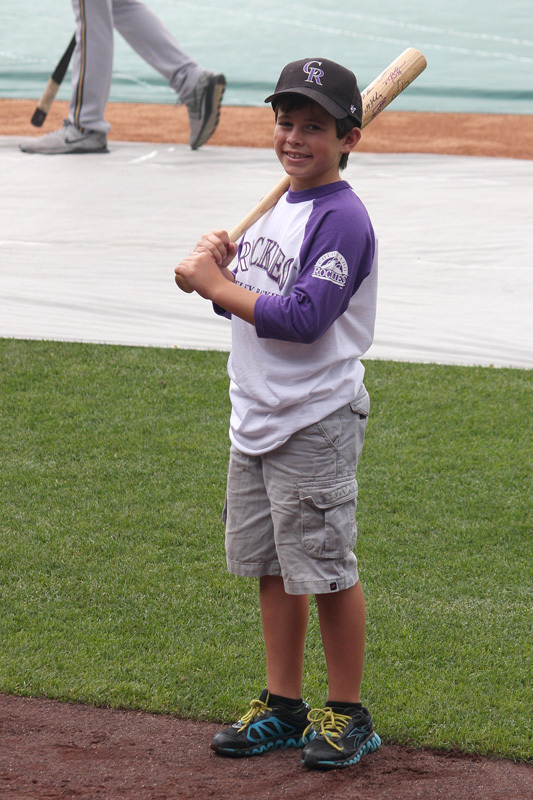 Thanks to the generosity of a friend, Brendan got the chance to be a "celebrity bat boy" for a Colorado Rockies game at Coors Field. 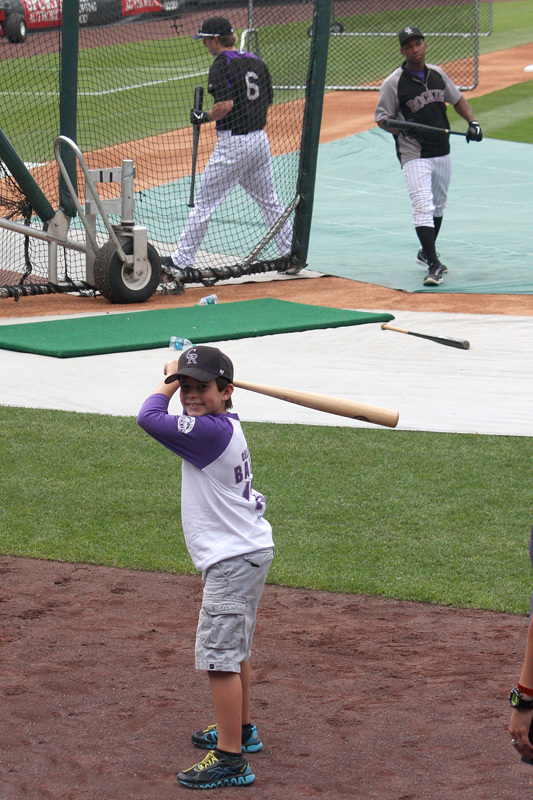 He got a tour of the stadium facilities followed by the opportunity to watch batting practice from the field where virtually the whole team signed his souvenier bat. 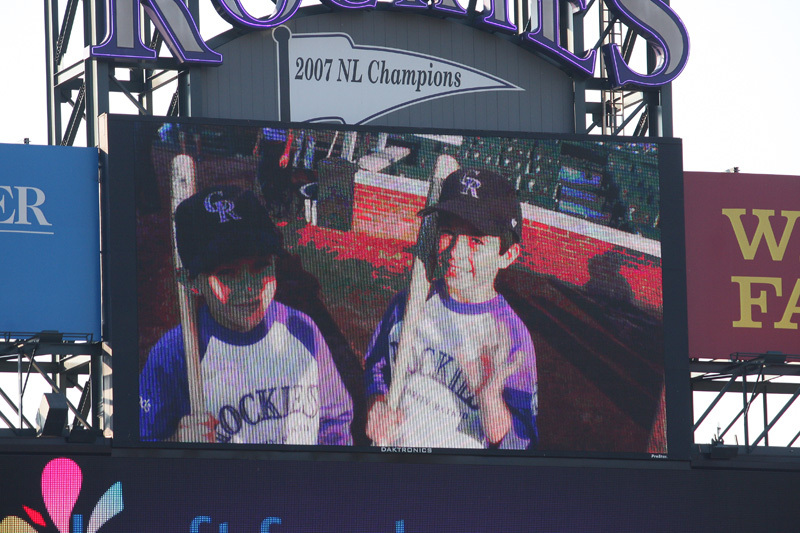 He also got to be on the big screen in center field during the pregame cermonies.